Here are some popular spots where you can catch the celebrations. New Year's Eve is a festive time for all residents, celebrating the passing of the old, and welcoming the advent of the new. Residents can usher in the New Year with several bright, festive firework options all over the UAE. Whether you want to go for the well-known shows held at Dubai's Burj Khalifa and Burj Al Arab, or for the more novel spectacles held at Abu Dhabi's Emirates Palace or Al Maryah Island, you are never short on options. Don't forget that roads around the Burj Khalifa are closed well in advance to avoid traffic. Thousands of revellers across the world gather to watch the fireworks, so reach by early evening. The event will be telecast live on televisions globally and beamed on big screens in Downtown Dubai. Not one but four incredible fireworks will be on display at the Festival City this New Year's Eve. The evening will kick off with live entertainment as revellers can gather to see the skies dazzle with fireworks. 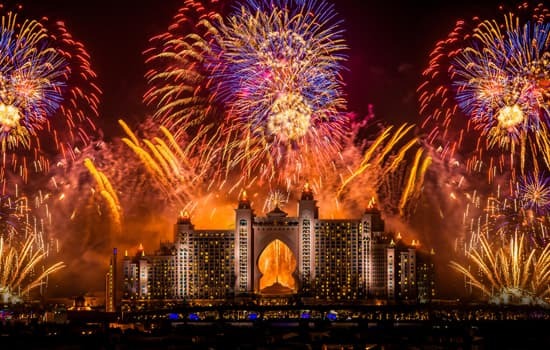 Thousands of guests are expected to participate in counting down the seconds till midnight where Global Village will host seven big fireworks shows on December 31 to ring in the New Year. 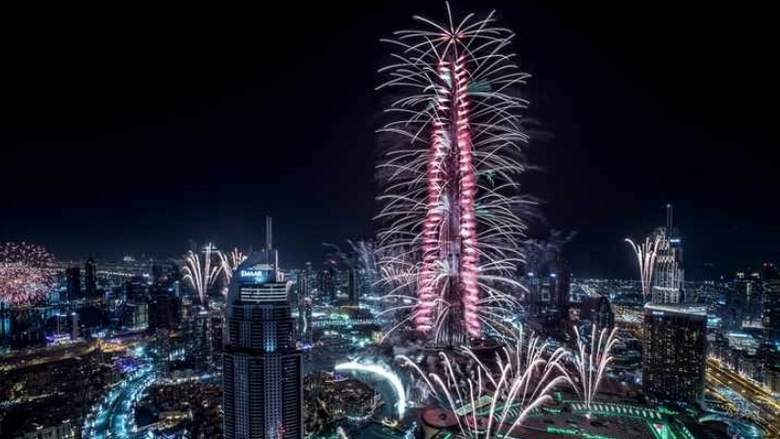 Each celebration will feature massive fireworks displays that will occur at the same time that the New Year is rung in at seven countries around the world. In addition, DJ Josh will play international remixes, and all the pavilions will get together to perform on stage as part of the celebrations, according to a statement issued by the organisers. 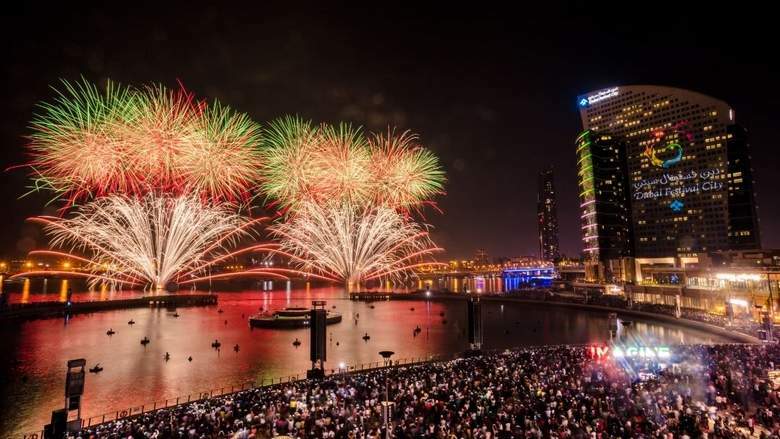 UAE's capital city will host several firework shows in multiple locations. Catch the sparks at Abu Dhabi Corniche, UAE's grand Emirates Palace, Yas Island, Al Maryah Island, Shangri-La Abu Dhabi, Hazza Bin Zayed Stadium, and at Zayed Festival. 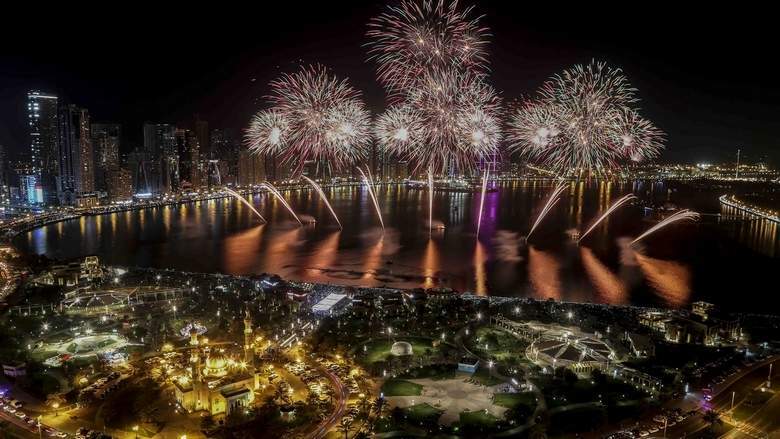 Al Majaz Waterfront, one of Sharjah's family leisure destinations will be ushering in the new year with a spectacular 10-minute long fireworks display launched from 16 aligned massive barges on Monday, December 31.